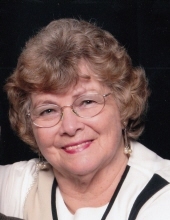 Tonya Valorie Wolf Mishler passed away April 5, 2019 in Coeur d’Alene, ID. She was born October 14, 1937 in Prairie City, Oregon to Lester and Inez Wolf. She was the oldest of four siblings, Tinka, Larry and Tava. Her family moved to Bend, OR and she attended schools there. Tonya graduated with high honors including awards for her violin excellence. She married Kirt Skinner and they had five boys, Michael, Rick, Jeff, Donald and Mark. The family spent many years in Pendleton, OR where they were involved in Scouting with all five sons completing the Eagle Scout Award and the parents receiving the Oregon State Mr. & Mrs. Scout Award one year. Tonya worked in the banking profession and volunteered in many philanthropic activities. The couple divorced and Tonya remained in the area while she pursued a private pilot’s license, as she loved to fly, and she met Tom Mishler also learning to fly. Tonya married Tom in 1976 and they both valued their blended family. Their many experiences included fishing in Alaska; commercial fishing off the coast of Oregon; annual hunting trips in OR; airplane renovation and so many adventures. After retiring to Sheridan, OR, Tonya became an accomplished artist in oil paints and she traveled to shows. Serving on the city council, the City Library and other youth groups kept her busy along with creating beautiful gardens at their home. She was preceded in death by her parents; her son, Mark in 2015; her husband, Tom in 2017; her step son, Roger; and brothers-in-law, Joe Woods and Lavern Schaffer. She is survived by her sons: Mike (Bobbie), Rick, Jeff (Teresa), Don (Julie); daughter-in-law, Dawn; her siblings: Tinka Schaffer, Larry Wolf (Bobbie), and Tava Woods; along with her step son, Garland (Michelle); step daughters, Karen Brown and Cindy Woodrum. She loved her amazing Skinner grandchildren: Jason, Shanna, Candice, Kayleigh, Asa, Beau, Maree, Nic, David, Heidi, Logan, Paige; and her Mishler grandchildren, Tyler and Tully. Tonya also had great grandchildren: Cedar, Hailey, Kylie, Maddox, Hunter, Mathew, Sawyer; and the special Mishler extended family. There were many nephews and nieces that loved her and she will missed be all the family. Her final resting place will be in Sheridan, OR with her late husband. There will be a family gathering at a later date. They That Wait Upon The Lord, Shall Renew Their Strength, They will soar on wings like eagles; they will run and not grow weary, gone, for they will surely sprout wings and fly off to the sky like an eagle. To send flowers or a remembrance gift to the family of Tonya Valorie Mishler, please visit our Tribute Store. "Email Address" would like to share the life celebration of Tonya Valorie Mishler. Click on the "link" to go to share a favorite memory or leave a condolence message for the family.